This post is part 3 in a series of articles aimed at organizations on Common Ground who need to get excited about what’s next if they decide to stay on the Salesforce platform. Previously, I highlighted favorite features in Nonprofit Starter Pack and Click & Pledge, now I’m going to talk about my favorite feature in Causeview. If what drew you to Common Ground was the sense that you were working in a single unified product supported and developed by a single company, then you’ll probably be happiest looking at Causeview. It’s a bit like buying Microsoft Office or Adobe Create Suite, rather than using Apple Mail as your email application and Microsoft Word for your word processor and Google Docs when you want to edit a spreadsheet. Best of vendor vs. best of breed. A good argument can be made in either direction. That’s not to say you’re compromising by selecting Causeview. 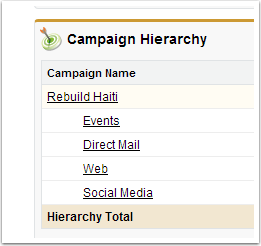 In fact, there’s one area of Causeview that I love, and that’s how it enriches campaigns. Common Ground did add a segmentation utility to campaigns, but other than that there wasn’t much enhancement over standard Salesforce. 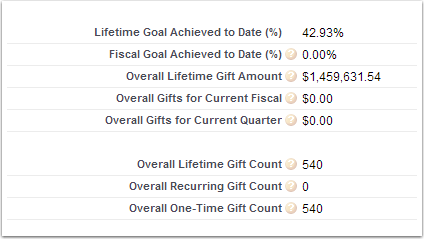 Causeview lets you define Goals on your campaigns, either by Fiscal Year for multi-year campaigns or broken down by Fiscal Quarter for single-year campaigns. Then the organization attaches their gifts to either Appeals, or maybe Events. These use the standard Campaign hierarchy but it’s taken a step further. There are 3 levels to Causeview campaigns. The campaign itself which is the overall initiative and may be over multiple years. Then there’s the Parent Appeal which may define the overall channel of the solicitation and finally the Appeal itself which is the unique communication or action that resulted in the gift. One complaint I heard often from Common Ground users was that there was no way to apply a campaign to different designations within the same gift. Common Ground used the standard Primary Campaign Source field which sat on the Opportunity itself. 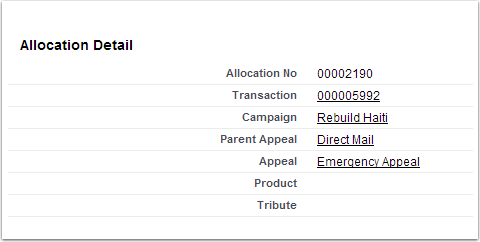 Causeview applies the campaign at the Allocation level, so if a gift is split into 4 designations/funds, each can point towards a different appeal which then automatically rolls up to the correct Parent Appeal and Parent Campaign. Best yet, this is all happening inside the standard Campaign object for maximum compatibility with other Salesforce-based marketing tools.